Many Americans may be underestimating how much money will need to be set aside to achieve a comfortable and financially secure retirement. For example, 61 percent of U.S adults surveyed by Bank of America Merrill Lynch said that they believe they could get by in retirement with less than $1 million in savings, and 40 percent feel that not even $500,000 would still be sufficient. With retirement becoming more expensive each year, many financial experts now consider such savings targets to be inadequate for ensuring an ideal lifestyle in old age. What is worse is that a study by the National Institute on Retirement Security found that Americans in almost every state are likely to struggle with financial security when they get older (see below). That gloomy outlook is in part based on the fact that around one in every four (25.5 percent) U.S. households with a head earner age 55 to 64 was found to have a net worth less than that individual’s annual income. Further, nearly half (45.3 percent) of all working-age (25-64) head earners did not own any assets in a retirement account, equivalent to roughly 39.6 million U.S. households. Even for the working-age households that did have retirement assets, the median account balance was just $2,500, and this improved to only $14,500 for near-retirement households (head earners ages 55 to 64). 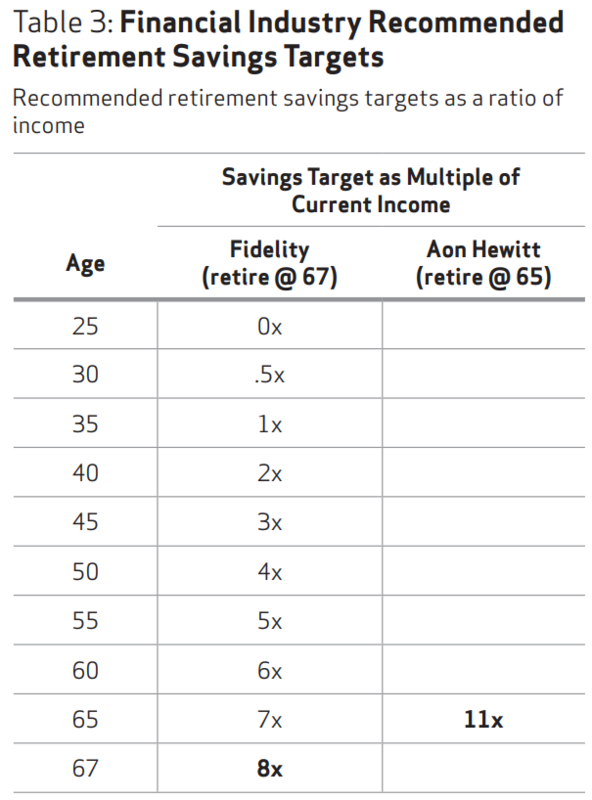 Moreover, near-retirement households too often had less than half of their annual income saved in a retirement account, and a median net worth to income ratio of just 3.08. The latter is a very generous measure of retirement savings but even this is well below the 8-11 times ending salary that financial advisers typically recommend having saved away before exiting the workforce.